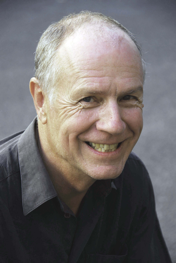 J. R. Martin is Professor of Linguistics at the University of Sydney. 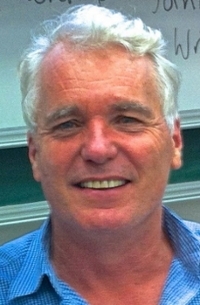 His research interests include systemic theory, functional grammar, discourse semantics, register, genre, multimodality and critical discourse analysis, focusing on English and Tagálog – with special reference to the transdisciplinary fields of educational linguistics, forensic linguistics and social semiotics. Zhu, Y S & Z H Wang [Eds.] 2013 On J R Martin’s Contribution to Systemic Functional Linguistics. Beijing: Peking University Press. 209pp. María José Navas is an Associate Professor in the Department of Behavioral Sciences Methodology at the UNED (Spanish Open University), where she has taught a number of subjects at undergraduate and graduate levels in the degrees of Psychology and Psychopedagogy. She was the program coordinator for the Interuniversity Doctoral Program Metodología de las Ciencias del Comportamiento (Behavioral Sciences Methodology), distinguished with the Honorable Mention of Quality by the Ministry of Education. She authored the book Métodos, Diseños y Técnicas de Investigación Psicológica (Methods, Designs, and Research Techniques in Psychology), and translated Critical thinking about research by J. Meltzoff (1998) for Alianza Editorial. She has recently been appointed as Associate Editor of the journal Psicología Educativa and was Associate Editor of the collection Metodología de las Ciencias del Comportamiento published by the UNED. She is on the editorial board of the journal Psicothema, and serves as reviewer for a number of other Spanish journals, as well as consultant for some funding agencies and for the Spanish Psychological Association. She has been a member of the National Council on Measurement in Education since 1997. She has collaborated in different national and international educational assessment programs; she has been the director of several research projects funded by the Ministry of Education, the Secretary of Education of the Canary Islands Government, and the UNED, and has directed a number of PhD theses. She has taken part in a large number of radio programs and occasionally writes for the newspaper El País. 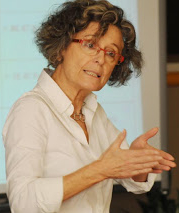 Her recent PISA publications include the Canary Island 2009 Report Las competencias básicas de hoy para el mundo de mañana (Today’s Basic Competencies for Tomorrow’s World), and the paper PISA y el triángulo de la evaluación (PISA and the assessment triangle). Dr David Rose is the Director of the Reading to Learn program, which trains teachers in primary, secondary and university levels in a unique methodology for integrating literacy in teaching practice. He is also an Honorary Associate of the School of Letters Arts and Media, at the University of Sydney. Alongside literacy pedagogy and teacher education, Dr Rose’s work has been particularly concerned with Indigenous Australian communities, languages and education programs. His research interests include language and cultural contexts, and language evolution. He is the author of The Western Desert Code: an Australian cryptogrammar. Canberra: Pacific Linguistics, 2001, and three books co-authored with J.R. Martin: Working with Discourse: meaning beyond the clause. London: Continuum, 2003 (reprinted 2007), Genre Relations: mapping culture. London: Equinox, 2008, and Learning to Write, Reading to Learn: genre, knowledge and pedagogy in the Sydney School, London: Equinox, 2012. Is a Professor of Linguistics at the University of Barcelona and a Research fellow in the Institute of Educational Sciences. She is the Principal Investigator and coordinator of the Consolidated Research Group on the Study of Linguistic repertoire at the Institute of Educational Sciences. She heads the Doctoral program on Theoretical, Computational and Applied Linguistics at the Linguistic Department in the University of Barcelona and cocoordinates the Postgraduate Program for Education in Multilingual Contexts at the same university. The main focus of her research has been on developing literacy and its role in linguistic development, adult literacy and later language development in particular, lexical development, and spoken and written discourse development. 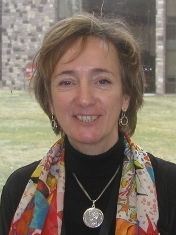 Besides publications in Spanish, her work has appeared in Cognitive Development, Journal of Child Language, Journal of Pragmatics and Written Language and Literacy. Her last book The Cradle of Culture and What Children Know about Writing and Numbers before Being Taught published by Lawrence Erlbaum, Hillsdale, NJ appeared in 2003 and an edited book with H. Teubal and J. Dockrell Developmental and Historical Perspectives on Notational Knowledge published by Sense, London appeared in 2008. >> Abstract: “Pedagogical practices and classroom dynamics in the teaching of early literacy in Spain”.